The orks are a savage race who live short, hard lives. From the moment they are born to the day they die, life is a struggle for survival and honor. 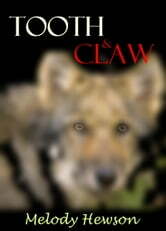 Tooth & Claw is about the coming of age ritual of a young ork boy who wants to become a brun. But to join the ranks of the adults, he must first prove his worth by taming the most dangerous creature in their world.